If you are yet to read about or watch the documentary entitled ‘Sweet Sweet Codeine’, perhaps you haven’t been on social media or moved close to the television in recent times. In a five-month undercover investigation, Adejuwon Soyinka, editor of BBC Pidgin, and Ruona Meyer, a BBC correspondent, led a team of reporters across the country, interacting with victims of drug abuse and those making profit out of their misfortune. The investigation revealed how some corrupt officials of big pharmaceutical companies conspire with distributors who violate the standard procedure by making the cough syrup available in the open market, thereby giving the public uncontrolled access to it. Twenty-four hours after the documentary was aired, the ministry of health banned the production and import of codeine cough syrup. Subsequently, the National Agency for Food and Drugs Administration Control (NAFDAC) raided four pharmaceutical companies. There have also been reactions from top government officials, influential personalities and members of the public. In this interview with TheCable, Soyinka spoke about the story behind the story, challenges encountered in the course of the investigation, how the Nigerian media can collaborate on similar projects, and future investigative projects of the BBC. TheCable: What were the challenges encountered during this investigation? BBC: I think the major challenge was getting into the cartel. We didn’t expect what we met; we thought it was a simple case, but we realised it was more than that. The cartel has different people working for them. Some function as enforcers, foot soldiers, suppliers. They have a chain such that the end user, who could be a student, criminal, as the case may be, does not know. No access to the main person, no information. Who they know is the last contact. Even the last person they know doesn’t know the main supplier. So, it was a complex one. We realised we were dealing with a well-organised and dangerous organisation. They were armed; that was a challenge. We couldn’t go there as reporters and that was when we knew we had to go undercover. When Chukwunonye Madubuike, a top official of Emzor Pharmaceutical Industries Limited, walked into this eatery, he felt it was time to seal another illegal deal, unknown to him that he had met his waterlooTheCable: Considering the risk involved in a story of that nature, is there an insurance policy in place? BBC: Of course! The company takes care of all its staff. BBC is an international organisation that takes care of all that. TheCable: This story has generated a lot of reactions, do you think it is as a result of the medium? The local media has reported stories on the abuse of codeine and other drugs but there was little or no response. This reminds us of the slave trade in Libya, the world literally ignored all the reports until CNN picked it up. Do you think the response was fast because of the medium involved? BBC: I think it is a combination of factors, one of which is the medium. We often say the medium is the message. The integrity of BBC can never be discredited in the world. It is a respectable organisation. Other things to look at are the stories that have been done before now and the difference the new story is bringing. I can’t claim to have read all stories on codeine abuse but I don’t think anybody has ever done a story exposing the cartel and how the drug gets to the streets in large quantities. That is the difference in this investigation. As journalists, we should be able to work together as a team when it comes to an issue like this. I went undercover but I had other people I worked with. It was a collaborative effort between BBC Pidgin and BBC Eye, which is the new investigative branch of BBC. It was the collaboration within BBC that made this work. On a larger scale, when someone has done a job from point A to B, then someone should take it to the next level and so on. With that, we are helping the society. TheCable: Has the response to the story been encouraging; did it meet your expectations as an individual and that of the BBC? BBC: Let me put it this way; my goals for doing this story are not different from that of BBC. I can say the story is one of such that has fulfilled my personal objectives as a journalist. As an organisation, I also feel the story fulfills one of the missions of BBC as a news organisation seeking to make us accountable and responsible to the people. Did we expect a reaction? Yes, but the scale of reaction has gone beyond what we imagined. In this environment, it is sometimes seen as if our conscience is dead, like little things get us shocked unlike in other places. However, it was a pleasant surprise that people took it up and the video was widely shared. A respectable journalist called me and asked if I could guess how he got the video. He told me a former head of state in Nigeria sent it to him. For someone of that age to have sent the video to him, it shows how important the issue is to him. That was how I interpreted it. TheCable: How will you react to the claim that the ban on codeine is as a result of an internal investigation and not the BBC documentary? BBC: Well, what matters to me is the reaction of the government to the story and the impact it has on the society. We understand that the ministry said their actions were not triggered by the documentary but it cannot be disputed that the documentary was released on the night of April 30, and on the 1st of May, the first lady of Nigeria, Aisha Buhari shared it on social media, calling for concerted efforts on the part of parents, guardians and the society to curb the menace. It is also a fact that the senate president issued a statement commending BBC for the work. Another fact that cannot be disputed is that one of the pharmaceutical companies implicated in the investigation dismissed the officer mentioned, suspended codeine production and has launched a full-scale investigation into the issue. After all these reactions came the statement from the government where the spokesman explained it as if it were a coincidence. Of course, we also know the ministry set up a committee to look into this issue in January 2018, and the committee was given two weeks to submit its report but nothing was heard about the committee and its findings until May 1, which happens to be a public holiday. And it seems to me, from what I’ve heard, that was the day the committee submitted its report and it was that same day the minister graciously and quickly acted on it. It was a coincidence indeed! What they said does not matter. The reason I risked my life was to save lives; that this dangerous codeine destroying lives is put out of the reach of the youths so that it doesn’t destroy their lives and the future of our country. That was why I took the risk and BBC did the story. Any step taken in that direction is a welcome one. So, I don’t understand why the issue of what prompted the government’s action is important to anybody. TheCable: Has any of the pharmaceutical companies indicted made an attempt to reach you? BBC: No. But somebody reached out to a member of the team. But me in person? No. TheCable: Was it a threat? BBC: No. It was an appeal to help them mitigate the impact of the discovery. TheCable: Can you say that this has been your most difficult investigation? BBC: *pauses* ….I don’t think so. TheCable: In the documentary, Ruona Meyer, your colleague, said one of the reasons she was passionate about this story was because of the problem her brother had with drug addiction, what motivated you to go into this? BBC: What triggered this investigation was the story of a 13-year-old girl who was hooked on codeine in JSS2. It was shocking to me. We looked into it and found out that there were other teenagers abusing the drug. Even university students now hold codeine parties, codeine night. We were challenged that we couldn’t buy a bottle of cough syrup over the counter without the doctor’s prescription yet these teenagers have access to it in large quantities. So, we thought there was a need to look into how they get it. 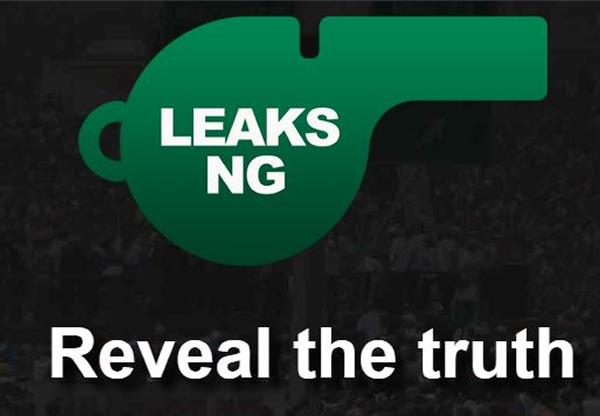 TheCable: Africa Eye has told us to expect 20 investigative stories a year. Should we look forward to 19 more this year? BBC: This is just starting in May; we are going to count the first quarter as a full calendar year. The plan is to do a minimum of 20 investigative stories a year. TheCable: There is this perception that majority of those who communicate in pidgin are illiterates. How does BBC Pidgin get its programmes across to people who can’t read or write? BBC: The thing about BBC pidgin is that we operate on different platforms. On social media, we have what is called the pidgin minute which is a radio output where we give our audience an idea of topical issues within a minute. This is distributed among our partners across Nigeria and West Africa. So, we have radio partners. Pidgin minute is produced six times in a day and it goes on all platforms. It shares different interesting stories; so it is like taking you around the world in one minute. That is our audio output. Of course, we still have plans to expand our content. A lot of our contents are deliberately multimedia, audio and visual. That is why you see a lot of videos on our social media platform. If you are not that educated, you can watch the video and understand what is being said. Mind you, a lot of people you think are not tech-savvy consume a lot of contents on social media. It is a mix of different kinds of audience and we seek to meet the needs of each individual. TheCable: Those interested in the documentary, can they find it online? BBC: We get a lot of questions about where people can get the full one-hour version of the documentary. The full version is on BBC Africa YouTube channel and on BBC Pidgin website. You can download from any of these two sites. Like I said earlier, it is an output of BBC Pidgin and Africa eye, which is the investigative branch of BBC in Africa. The focus is not just to tell these powerful stories but also to promote the culture of investigative journalism on the continent, working with a good number of freelancers and, of course, BBC and other colleagues around the continent. When you keep doing this, you will find out that you have promoted the culture of investigative journalism. We hope that the outcome of this documentary will inspire other journalists to carry out more investigative stories or take another angle on the story that has not been told, investigate it and bring it out. Once we keep doing this, our continent would be a better place. The focus is not just on Nigeria but on the continent. The truth about the documentary is that it is an issue that cuts across Africa. We have seen and received loads of comments from other countries saying that they are facing the same issue of drug abuse.